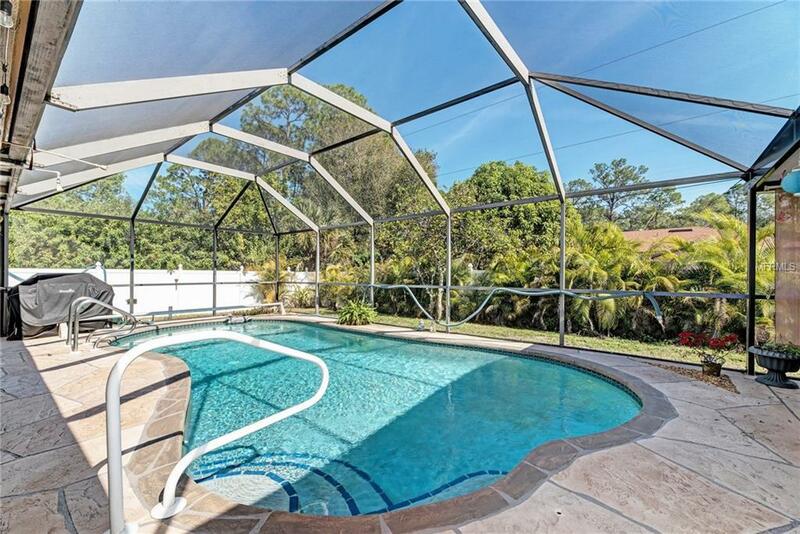 Looking for the home where you can enjoy outdoor living from an OVERSIZED PARTIALLY COVERED LANAI\CAGED POOL? Come on down! 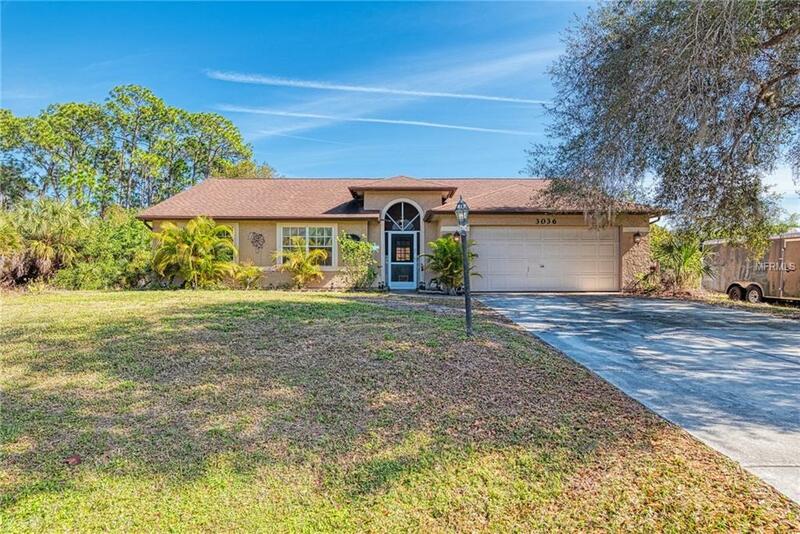 This lovely home is on CITY WATER with a sidewalk out front and conveniently located to shopping, dining, banking and within a half hour of several beautiful beaches and Ollie's Pond Park is just a short walk away. The back yard is fenced and has a fruit tree. This residence has been tiled throughout the majority of the under air space with the bedrooms carpeted. 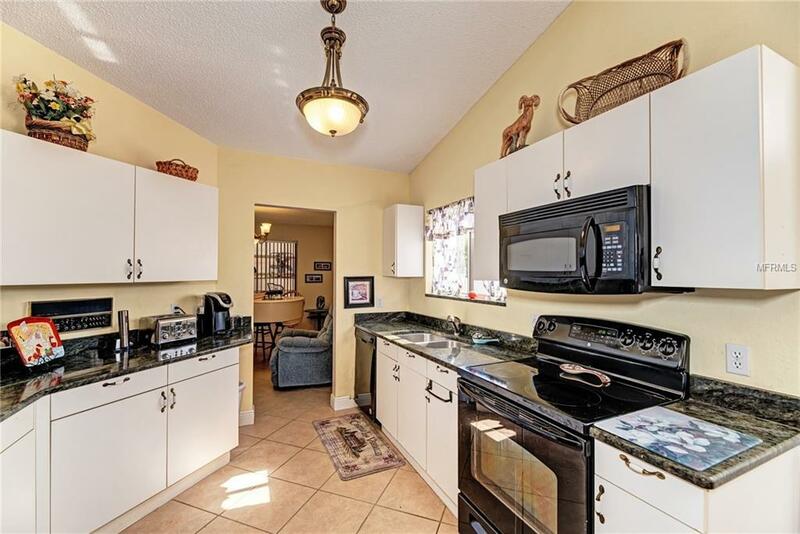 The kitchen boasts dark granite counter tops with matching appliances. You will find cultured marble in the guest bath and master en suite. The 2017 addition to the already large pool area added another 700 square feet of entertaining area along with aluminum reinforced walls and composite ceilings for shaded areas making this MASSIVE pool area have three areas to enjoy the splendor of your new Floridian (NO WINTERS) life! This pool area will be hard to beat. 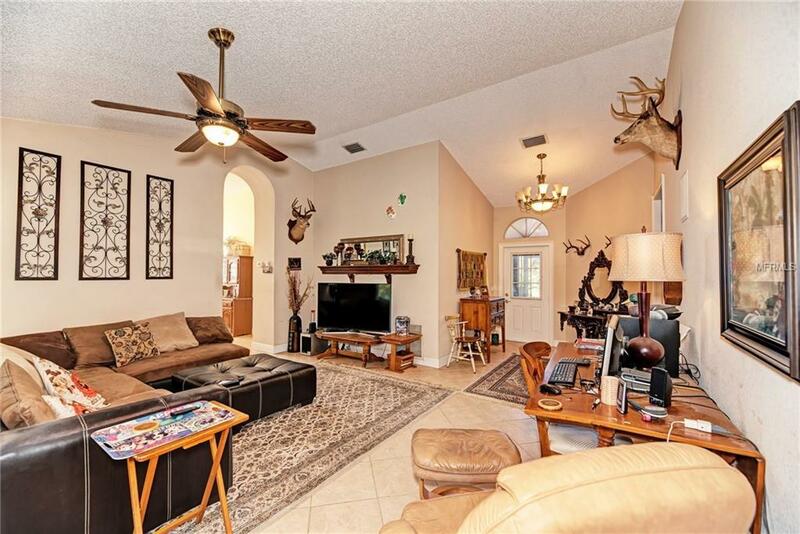 :-) And the two car garage is extra large as well boasting 480 square feet. A 3 ton seer AC installed in 2010 and roof was put on in 2006. This split plan house was well laid out and built and waiting for you! Schedule your appointment today.